Building a car from scratch is no small feat. Oisin Shaw, a fourth year Mechanical Engineering Student at Imperial College, is certainly up to the challenge. 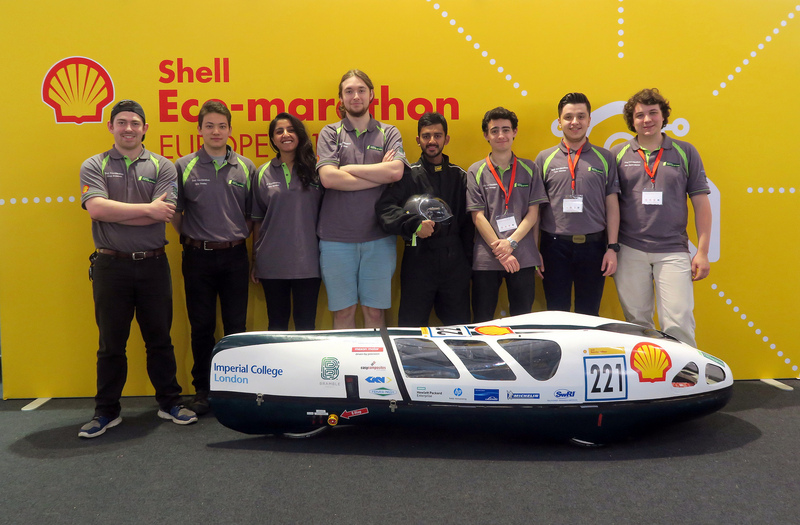 Managing a team of 30 undergraduates, Oisin is the creative-lead on designing, making and testing this year’s low emission vehicle for the Shell-Eco-Marathon in May. How did you become involved in the Imperial Racing Green project? Initially, I was only looking for a research project for the summer in 2015. But towards the end of the summer, the race team were looking for a lead powertrain engineer who would be responsible for everything in the vehicle that makes it move from engine to axle. From my degree, I already had some experience of powertrains, fuel cells, and I knew the car inside out. We have a steering committee of academics, but it’s a completely undergraduate-led project. There are five teams working on the car. Most students are mechanical or electrical engineers but we also have aero engineers helping to design the new shape of the vehicle. Building a fuel cell for the car brings together a lot of disciplines: electro-chemistry, heat transfer, through to manufacturing design. I have always loved tinkering around with engines but this is the first time I’ve actually made a full vehicle from scratch (other than just go-karts). Electric vehicles have been around for longer than people realise, but the technology which made them commercially viable originated from research that came out of ultra-efficiency races. How long have these types of races been going on? Back in the early twentieth century when vehicles were more of a novelty, races were all about endurance rather than speed. 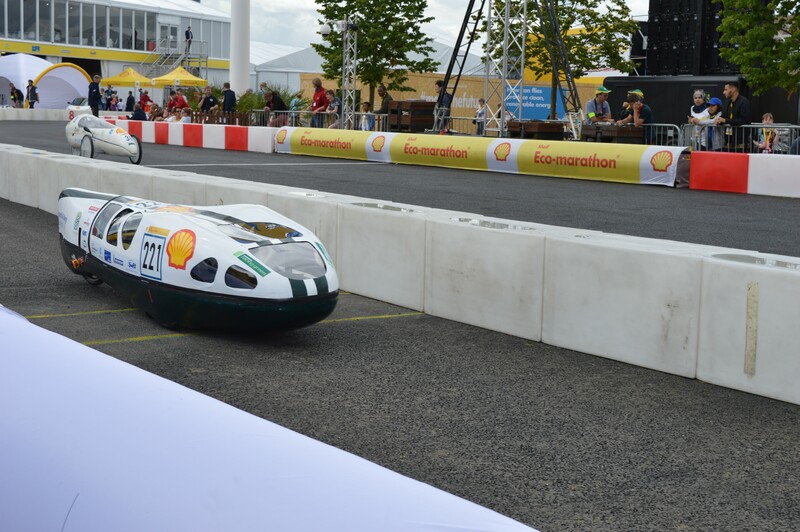 The Shell Eco-marathon started in 2000, and it is not like a traditional race. There is a track and a car has to do a number of laps, but it is the car with the lowest fuel consumption that wins. What is the main ambition for the race and your team? We did race last year, but there was a fault that stopped the car during the race. So this year, we are hoping to not only complete but rank highly among the four UK hydrogen teams. What elements of the car are you rebuilding this year? We are building a new chassis and steering. All the control and electrical systems will be replaced with added telemetry. There will also be new carbon-fibre wheels, to improve the aerodynamics. The wheels are external as before it had been a challenge to fit an adult-sizes driver from Imperial College into the car (i.e. under 5 feet 1 inches tall). We are looking for people at the moment! So, what could potentially go wrong? I’m most worried about the new chassis which is being built out of carbon-fibre and steel lugs. This has never been done before. Although, I’m confident in my team’s ability; that’s definitely the most risky element as we are not sure that it will work. There are two categories – urban concept and prototype. We are a prototype – which means a vehicle just needs to get around the track as efficiently as possible. An urban concept car looks more like a road-worthy vehicle with brake lights, wind screen wipers, etc. Within each category, there are different propulsion systems (e.g. petrol, diesel, compressed natural gas, and ethanol). Ultimately, the overall winner in each category includes all these propulsion systems. Each fuel type has a volumetric calorific value so you can compare volumes in terms of how much energy it contains. You mentioned that you got through scrutineering last year. What does that involve? Before the race, the car needs to go through a series of trials to ensure it is compliant and safe. This process can last up to 12 hours. A team of engineers from Shell examine the vehicle and review your electrical drawings to ensure that the car is rule compliant (e.g. that the driver is safe and not a danger to other vehicles) and there is no cheating. Have you had any help from companies? Shell provided the original seed funding but this year, we are also being sponsored by the Sustainable Gas Institute and Energy Futures Lab. So, what’s it like on site at the race? It’s busy with over 2,000 engineers getting their vehicles ready. Each car has a designated paddock but you can see the other teams. The race is also surprisingly friendly. Teams help each other out. Last year, one of the German teams lent us their gas pressure regulator. The car runs on a proton exchange membrane fuel cell (PEMFC). What exactly is this? In a fuel cell vehicle, the chemical energy from the hydrogen and oxygen is converted into electrical energy. A single cell has a thin membrane producing one volt. For a higher voltage, a number of membranes are stacked up on each other. The number of cells provides the voltage and the surface area of the cells (how big the plates are) provides the current. What are the most challenging issues with building a car with a fuel cell? You have to ensure secure plumbing for hydrogen as it is explosive. This involves mechanically designing it so it does not leak. But you also have an electrical system so it’s potentially a dangerous combination. What challenges did you face last year and how are you overcoming them? We tried to incorporate some ground-breaking fuel cell technologies. This included a composite fuel cell (graphite plates embedded in 3-D printed frames) to make it more robust as graphite is brittle. We also wanted to build on PCBs (Printed Circuit boards) to make it lighter. Unfortunately scaling up took more time than expected and the week before the race, we had to buy a commercial fuel cell. We really wanted to include these amazing technologies but could not because of the tight timeframe. Next year, we want to replace the chassis and shell with a monocoque to improve the aerodynamics and strength. What are the main steps involved in building a power train with a fuel cell? While fuel cells are very energy dense they are not power dense unlike an internal combustion engine. This basically means you can store a lot of energy but you cannot deliver it as fast. For example, you are able to drive at 15km/h for a long distance but you wouldn’t be able to accelerate very quickly. We are testing a proprietary hybrid architecture using supercapacitors. When you need the speed, the super capacitor kicks in and when the car is coasting and need less power, the fuel cell can recharge the supercapacitor. So, it’s about endurance, what’s been the most fuel efficient car to date. In 2005, a hydrogen-powered vehicle built by a Swiss team had an efficiency of 3,836km on the equivalent of a litre of petrol. This is equivalent to the distance between Paris and Moscow. This year’s European Shell Eco-marathon event takes place in Queen Elizabeth Park between May 25-28, 2017. You can follow their progress leading up to, and during, the event on Facebook, Twitter or Instagram. Previous Can energy storage make the world safer? Next How far can we take the internal combustion engine with waste heat recovery?